The Department of Orthopaedic and Spine Surgery Lahore Medical and Dental College is based at Ghurki Trust Teaching Hospital, Lahore. It was established only 16 years ago. The department is staffed with 03 Professors, 1 senior consultant Pediatric Orthopedic Surgeon, 03 Associate Professors, 01 Assistant Professor, 03 Senior Registrars & 30 Resident Medical Officers. 250 beds are at our disposal. Two separate operation theatre suites having 05 modular ORs each fully equipped are at the disposal of this unit, round the clock. The number of emergency and elective surgeries performed in this unit is much more than the total number of such surgeries all over Lahore. Patients landing in emergency are operated on the same day barring any medical contra-indications. This allows more elective cases on morning list. This is the only unit performing major orthopaedic procedures round the clock 24/7. Pakistan Orthopaedic Association (POA) has declared our unit “a centre of excellence” for Arthroplasty & Spine Surgery in Pakistan and POA fellows are being trained regularly. AO Spine Switzerland has recognized our unit as “a center of excellence and Spine training centre in the Middle East and AOSpine Pakistan chapter has been allocated to us. 1st International AOSpine Symposium was successfully held in February 2012 and AOSpine courses were conducted in 2014 and 2016. 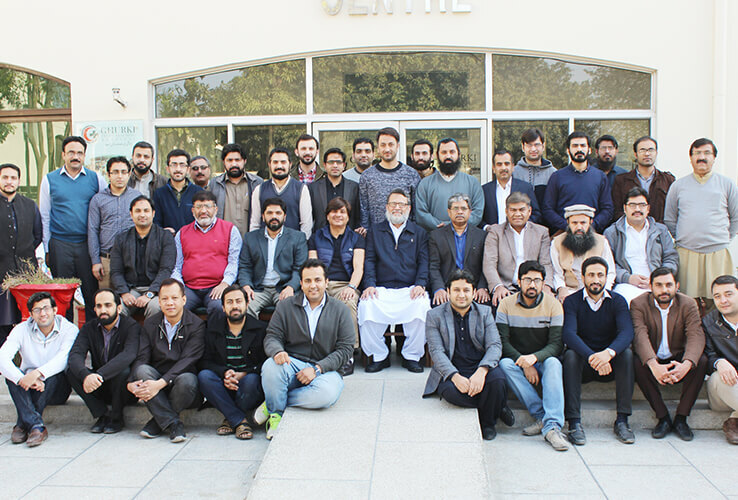 Prof. Amer Aziz, Prof. Shehzad Javed, Prof. Naeem Ahmad and three other consultants are now part of AOSpine International faculty and go abroad to conduct AOSpine courses, on regular basis. Dr. Atiquz- Zaman, Consultant of this unit has become 1stSURGEON EDUCATOR for the region from Pakistan. Adult Hip Preservation surgery centre in Pakistan. 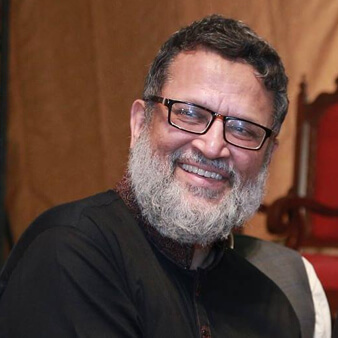 The Children Hospital Lahore Department of Paediatric Orthopaedics came to a grinding halt after the retirement of its founding HOD and Dr. Chiragh and his team trained the current consultants to start the department again. Recently, Neuro-monitoring facility has been added in the department. All Spine deformity cases are performed under neuromonitoring now. Our bed occupancy Alhamdolillah has always been almost >100%. This is the only department which is providing 24/7 list, conducted under the supervision of consultants. We have now provided the facility of 06 OPD days. This facility is not available in any of the teaching hospitals across Pakistan. We have raised funds from different sources to provide free health care services to deserving orthopaedic patients. Almost125000 US Dollars (1.25 Crore rupees) are being spent in this account every month. separate physiotherapy unit in which all the requirements for best rehabilitation of the patient are met. Fully equipped physiotherapy school has been established in LMDC and state of the art physiotherapy & rehabilitation unit has been established in newly constructed spine unit which has become functional. We started the first ever hands on Cadaver Spine Fixation course in Pakistan, eleven years ago and is a regular feature on ourteaching calendar. The first all Pakistan Ilizarov hands on Cadaver / Saw bones course was conducted in 2005 and now being conducted regularly. We started the 1st International Arthroscopy workshop and 1st National Flap course in 2009. Three courses have been held so far. We regularly conduct PTC (Primary Trauma Care) & TEAM (Trauma Evaluation and Management) courses at LMDC & different hospitals of the province. More than 30 such courses have been conducted so far. Orthopaedic review course for FCPS II candidates is also a regular annual event and we conduct this course twice a year before the FCPS II Orthopaedic examination. Five of our Consultants have successfully passed ATLS course and two have now become ATLS instructors. Four of our consultants have qualified Masters in Medical Education. 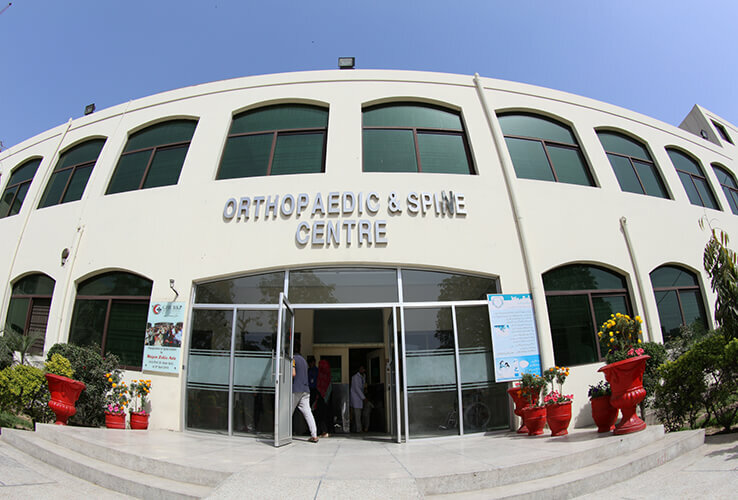 First spine centre of Pakistan has been inaugurated and become fully functional. This is the only unit in the country which has the highest number of International Spine Faculty. Six consultants are part of AO Spine faculty who conduct spine courses within Pakistan and abroad. Trainees from 10 countries have completed their Spine and Arthroplasty fellowships in the last 03 years. All this has solely been possible by Allah’s Grace and the sheer hard work of our most dedicated team. The total number of patients examined in the OPD in 2017 were 53,558, Similarly the number of operative procedures performed in 2017 were 10,859.